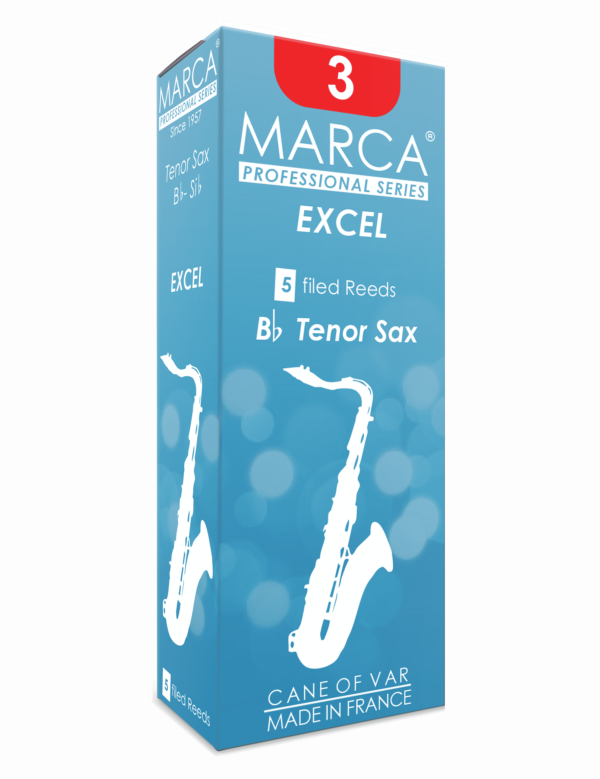 MARCA Excel reeds are the latest result of Marca’s intensive research and design. 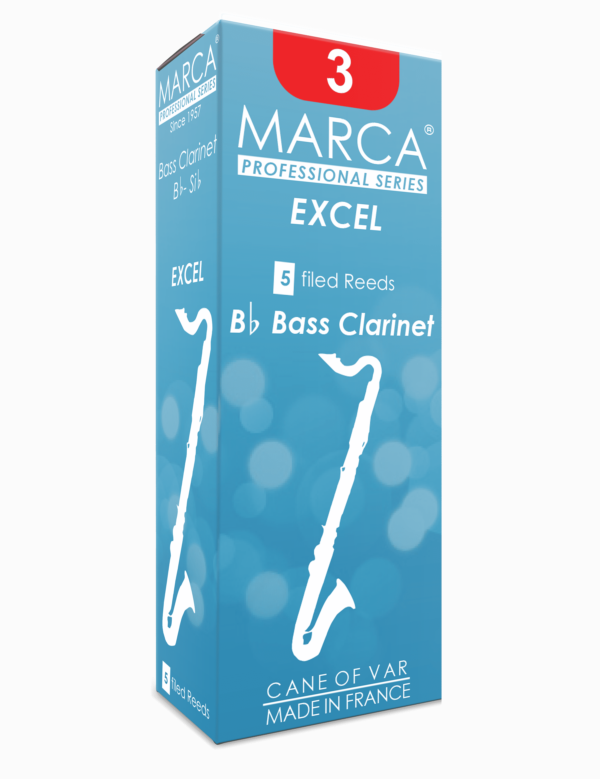 The Excel is crafted from Marca’s choicest cane and boasts an excellent cut that allows superior vibration in collaboration with the mouthpiece curve. 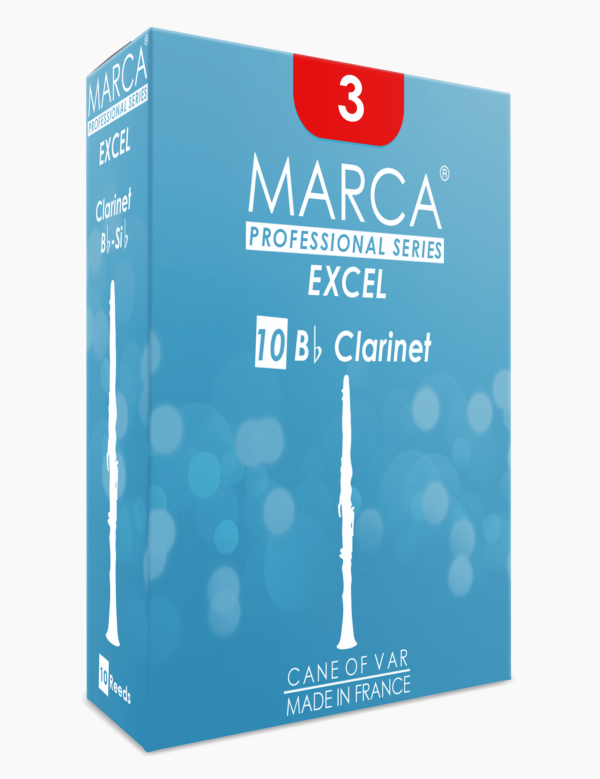 The results in a more balanced tone quality and sensitive response throughout the instrument’s range. 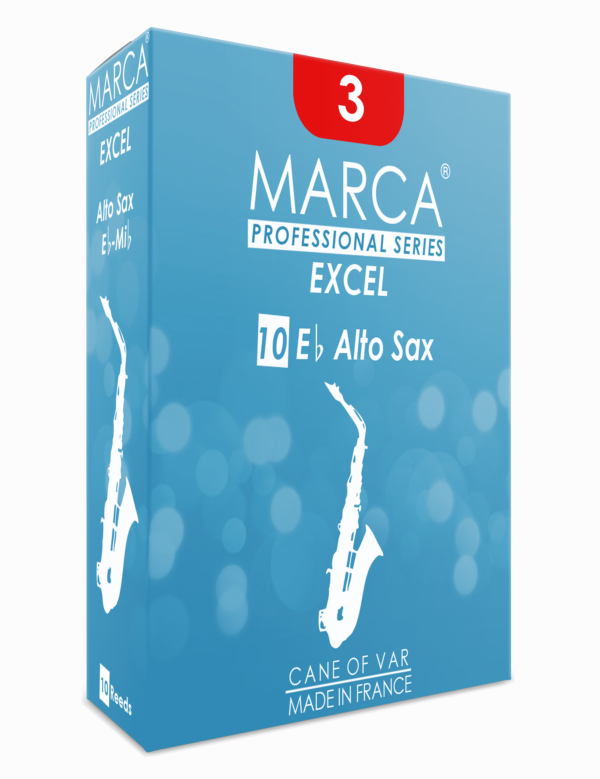 Players will especially enjoy the crisp attack the Excel provides during articulated passages, as well the ease afforded to high-register notes. 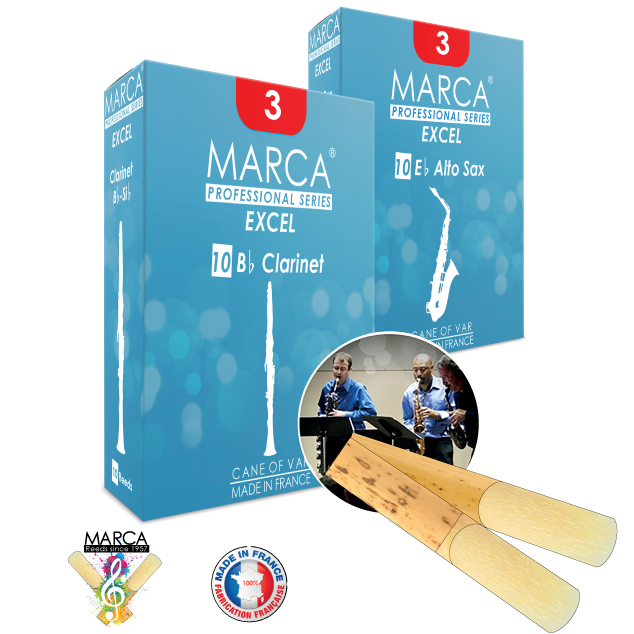 Designed for all-around use with a special emphasis on wind ensemble, orchestral and chamber play. Excellent and fastest response in all registers. Allows for attack throughout range of instrument with added ease in the high register.